You can integrate ActiveConvert directly with MailChimp. This means all leads and subscribers collected by ActiveConvert can automatically be added to your MailChimp email list. 1. Once logged into ActiveConvert.com, click on the Integrations link on the left side of your screen. Here's where you will enter your MailChimp API Key and List Id. 2. 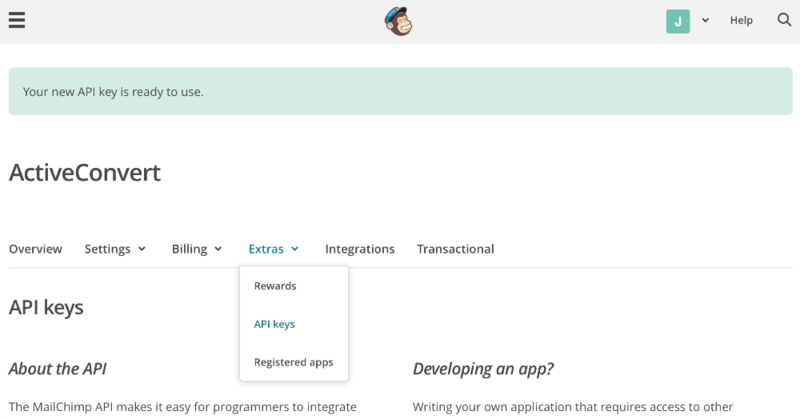 Login to your MailChimp account and create and copy your API Key by navigating in the top menu to Account, then Extras --> API keys. 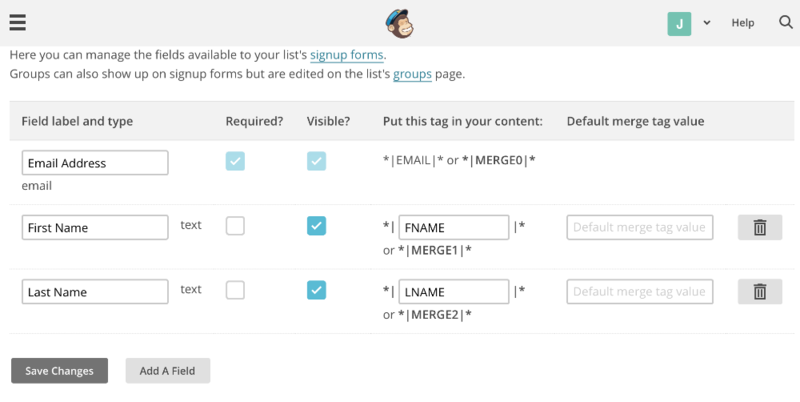 Finally, copy the API Key and List ID into your MailChimp Settings at ActiveConvert and enable the integration. Then click Save and you're all set! All your leads will now be sent to the list you chose. Sometimes list defaults require the first and last name fields. If you are using a campaign that only collects email address, make sure to disable this checkbox in MailChimp.